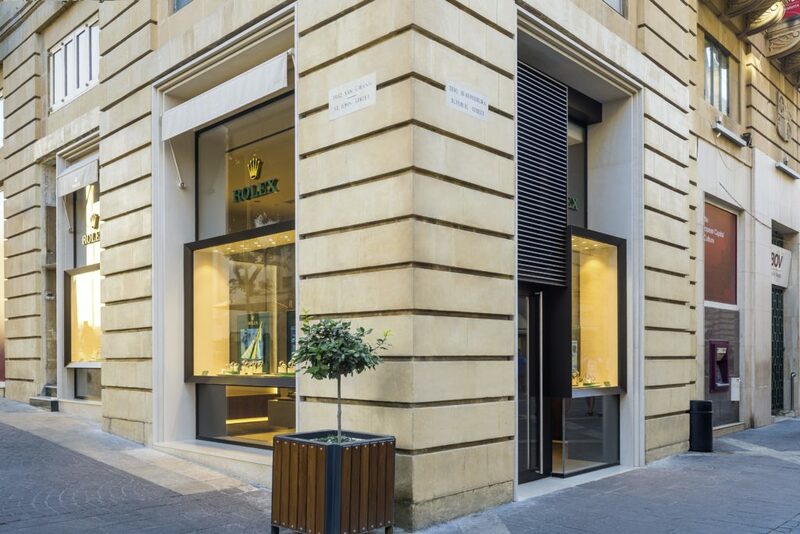 Edwards Lowell and Rolex announced the opening of a Rolex Boutique that is the first of its kind in Malta. 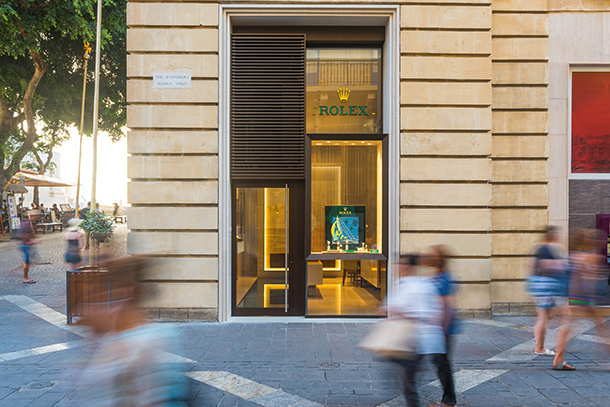 Situated in Republic Street, Valletta, the Edwards Lowell Rolex Boutique features an innovative use of Rolex’s signature aqua pattern and a handcrafted stucco wall with a depiction of Valletta. 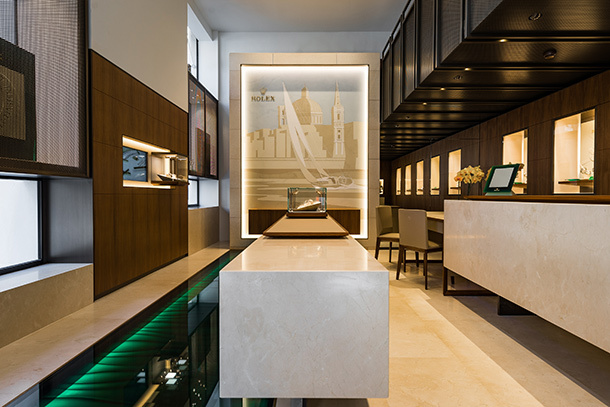 The new boutique offers professional expertise in an elegant setting, one that promotes a sense of harmony, discretion and intimacy with the brand, which has been setting standards in watchmaking for more than a century. “This is an exciting new chapter in Edwards Lowell’s distinctive history. A singular and world-class project that aims to set new standards in Maltese retail and pave the way for future projects,” said Malcolm R. Lowell, Managing Director of Edwards Lowell. 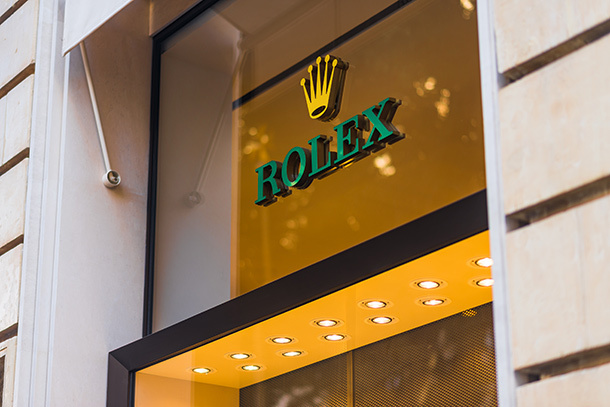 Every element of the interior design features the elegant Rolex aesthetic and radiates the values of the Rolex crown. Excellence, precision and attention to detail emanate from the careful calibration of colours and patterns in the fittings and furnishings. 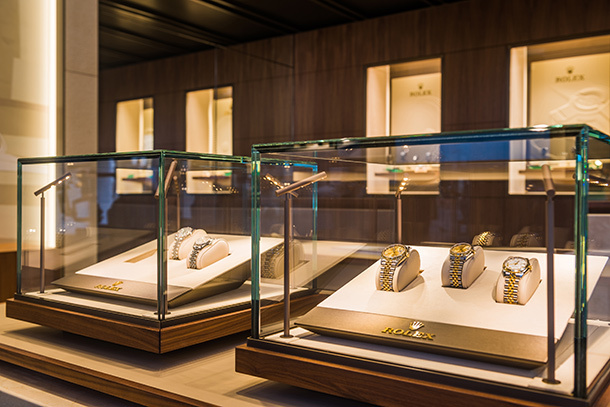 Sensitive lighting accentuates the beauty of a wide selection of Rolex models in display cases lined with beige leather with bronze trims. 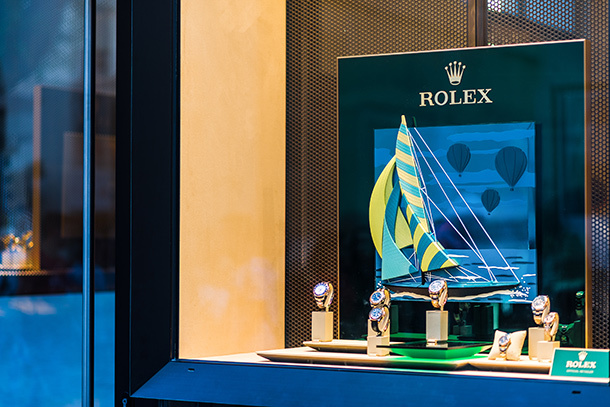 A striking emerald aqua floor highlights Rolex’s rich heritage – its wave motif referencing the iconic Oyster, the world’s first waterproof wristwatch. 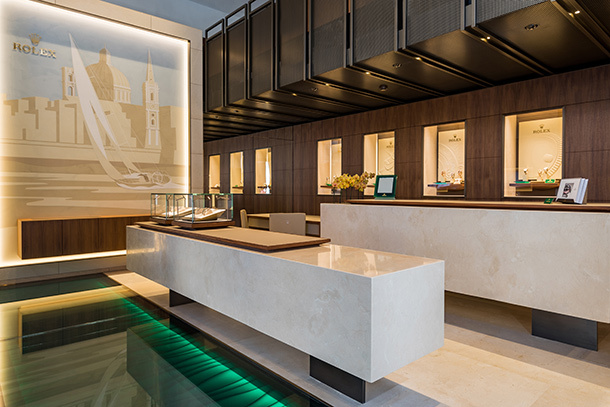 Used as flooring for the first time, the aqua material draws the eye across the boutique towards handcrafted stucco panels that feature a view of Valletta from the sea. The intense green used around the boutique creates accents that harmonize a refreshed colour palette. The space also mixes textures from walnut-brown wood to beige- coloured marble and leather, and includes notable marble counters with leather and wood detailing. Synonymous with luxury since 1925, Edwards Lowell is renowned for being the official retailer of a curated selection of the most prestigious brands in the world. 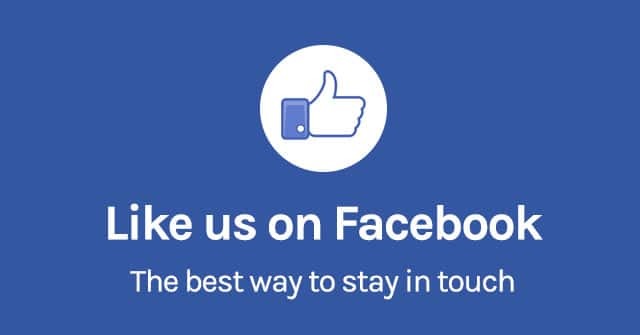 From its conception over ninety years ago, this family-run business has strived to offer its clients the world’s best products alongside unique customer service. 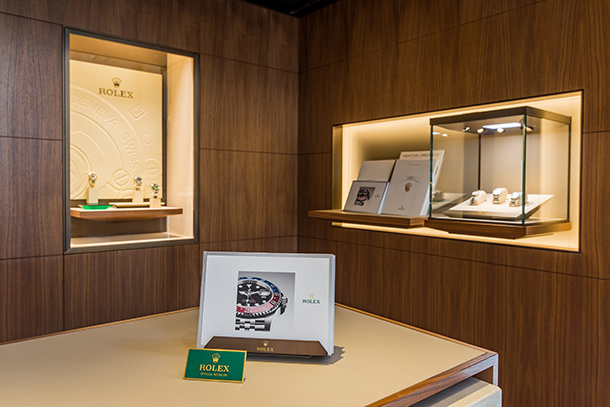 The Edwards Lowell Rolex Boutique is the first Rolex Boutique on the island and is set to be valuable addition to the Edwards Lowell family. Edwards Lowell is looking forward to presenting their esteemed clients with a curated selection of fine timepieces which can be enjoyed and treasured for their unparalleled craftsmanship and ultimately be passed down from generation to generation.